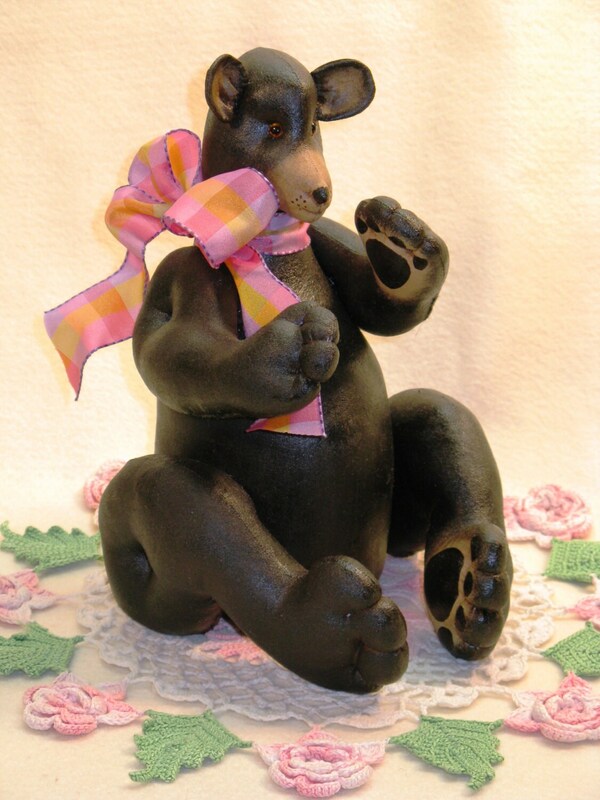 A wonderful 10in Black Bear made of muslin, painted and stained. Has a weighted bottom. Face and paws are simple sculpting. Arms and Legs are stitched to appear jointed. An excellent décor piece to a country cabin or child’s room. Easy to make. Pattern includes easy to follow instructions, doll pattern, sculpting and painting instructions and a complete suggested materials list.